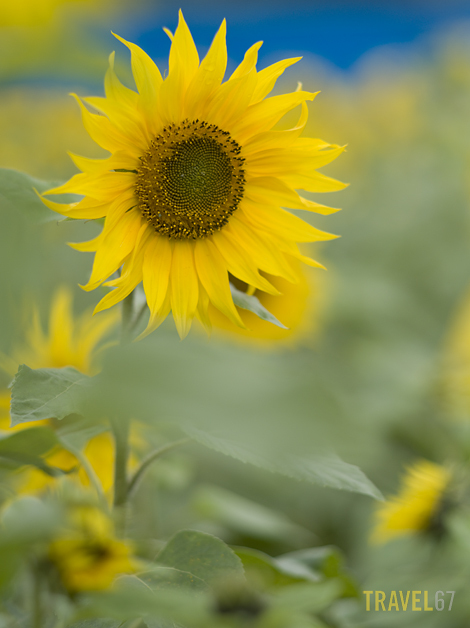 There’s a sunflower festival taking place in Kitanakagusku Village at the moment. 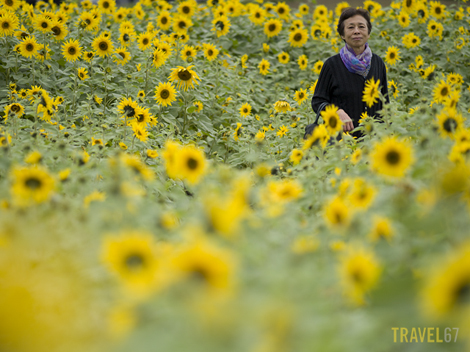 Local farmers have grown thousands of sunflowers in vacant plots of land between the vegetables. It’s free to wander around, and there are small paths that wind through the flowers if you want to immerse yourself in nature. Enterprising locals have set up a few stalls selling ramen, soba, shisa and garden plants should you wish to help the local economy. The depth of field on both of these photos is SPECTACULAR! It draws me into the pictures! Marvelous!